The votes are all in and counted, and here are my top photographs of 2015! 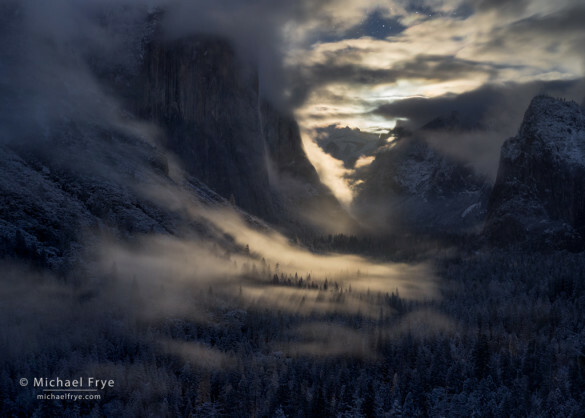 We had an amazing response this year: a record-breaking 510 people looked through my initial selection of 46 images and voted for their favorites here on the blog, on Facebook, Google+, and through email. A big thank you to everyone who took the time to look through these photographs and voice your opinions! I also really appreciate all the kind words expressed along with the votes. I wish I could respond to every comment, but please know that I’ve read them all and am very grateful for all your support. And also, many thanks to my wonderful assistant Claudia who tallied all those votes! To express our gratitude to all the voters we’ve decided to give away two prints this year. We assigned each person who voted a number, and used a random number generator to pick the recipients. And the winners are… Mike Lynch and Gabor Ruff! Mike and Gabor will each receive a signed, numbered, matted 16×20 print of their choice from among the 46 original selections. Congratulations Mike and Gabor! Rounding out the top 16 were numbers 19, 32, 6, 23, 12, and 9 (the last two were tied). 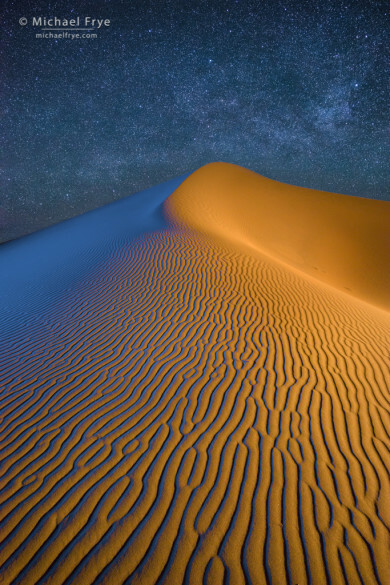 Six out of the top ten were nighttime images. I did a lot of night photography last year, and tried to push myself to make images that went beyond what I’d done before, so it’s gratifying to know those images resonated with many people. Thank you! If you’re wondering about my personal favorites, most of them are in this top ten. Two that I’m particularly fond of that didn’t make it are number 5, Ross’s Geese Taking Flight at Sunset, and number 29, Aspen Trunks Near Telluride, Colorado, but I don’t think I’d place them above any of the images that did make the top ten, and there’s only room for, well, ten images in that group. (How’s that for advanced math!) 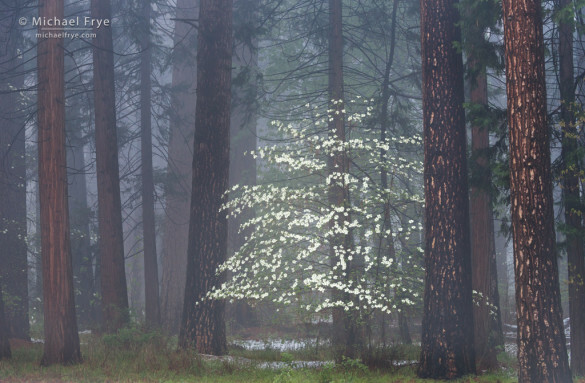 I was pleased to see that number 14, Dogwoods, Mist, and Ponderosa Pines, made the list, because it’s one of my all-time favorite dogwood images. I’ll be submitting this post to Jim Goldstein’s blog project shortly. Thanks to Jim and G Dan Mitchell for providing the original inspiration for putting together this list back in January of 2011, and helping to start this tradition. It was a great year Michael. I am glad I picked 6 of the top 10 including first two which are incredible! Congratulations! Was waiting all day for the results and so happy to see my most favorite picture won! Your pictures are amazing. Looking forward to 2016. Great selection by the voters! Glad so many liked what I did seeing that i selected 8 of the Top 10. Looking forward to Jim’s Blog. Congrats to the winners of the signed prints! 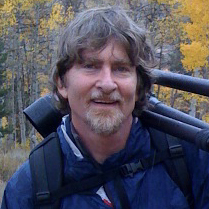 Thanks Jim – for the motivation as well as the kind words! What a wonderful surprise bonus to give prints to those who voted! 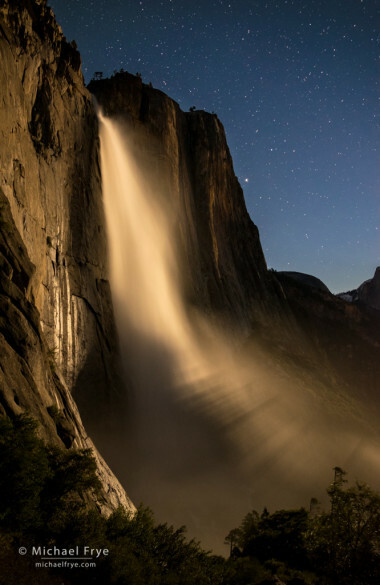 Some of my favorites didn’t make the final ten, but my three favorites Lightning over the San Joaquin Valley, Blue oaks and misty ridges, and El Capitan by moonlight did. Wishing you another great year in 2016 Michael. Thanks Brad! We really appreciate the time it took everyone to consider these images and vote, so the prints are just a token of our appreciation. Thanks for another great year Michael. Here’s to many more! Beautiful work for sure! Thanks for continuing to share it with me after all the years since we met in 2006. 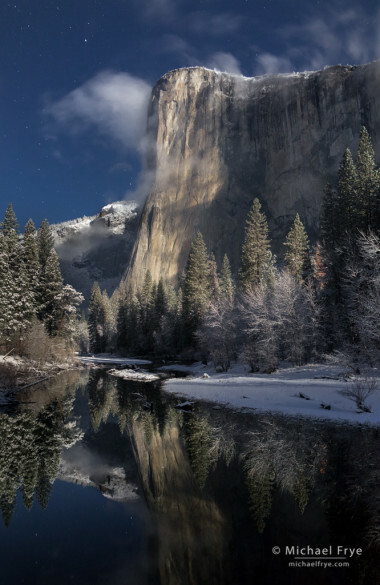 Yosemite Valley is an incredibly beautiful place, and I’d love to spend some time there during the winter. Thanks Ellis! You should definitely come up during the winter, though snow or clearing storms are obviously hard to predict very far in advance. Congratulations on another stellar year, Michael! This is a wonderful collection with #1 and #39 really resonating with me. Wishing you and Claudia all the best in 2016. 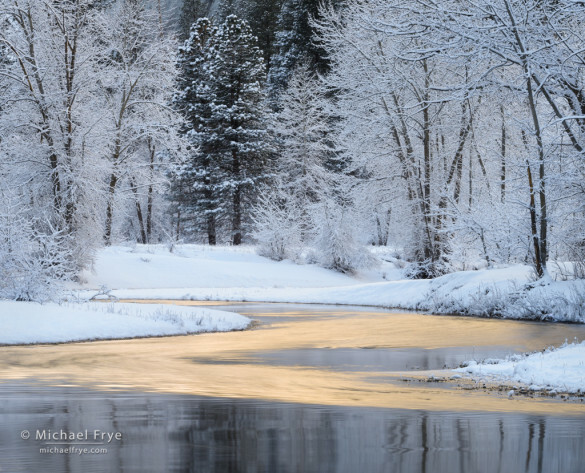 Congrats Michael on your Pictures and Thanks on a wonderful chance to vote on YOUR photos. Six of the ten were my favorites, but all were great. I guess I have strange tastes because only 2 of my top 10 made the reader’s top 16! But there were so many wonderful shots as always. It’s fascinating to see what other people appreciate in your work and how that varies from my own favourites. Thanks again for involving us in the final edit. Amazing collection. Couldn’t pick out a favourite because it’s such an impressive variety of styles. I know a few of my picks made the top 10, but honestly, I love the 10 here! It was super hard (as always) to pick just 10. They all spoke to me in different ways. 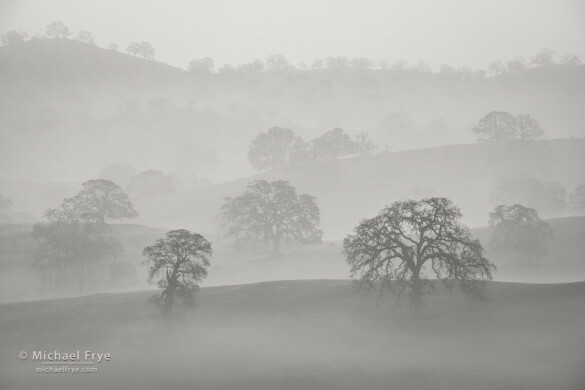 I’m happy the oaks and mist made it, because as you know, I am always such a sucker for a good misty scene, and that one is gorgeous (along with a great lesson on picking your vantage point). Thanks very much Vivienne! I’m glad you like the selection, even if it didn’t match yours. Thanks so much Frank, and Happy New Year to you too! Having missed the voting process, I am still enjoying the results. 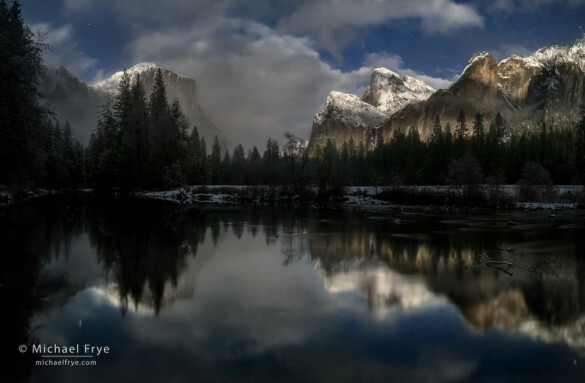 Your images of Yosemite from 2015 and from other years, in my opinion, hold up well among all the greats that have photographed the park in the past. 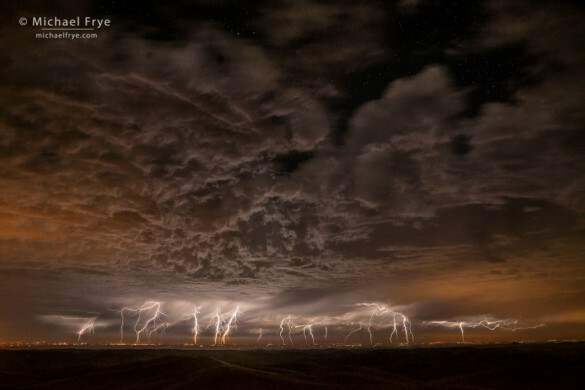 I also like the lightning and the misty ridges. Here’s wishing you the best in 2016, both personally and photographically. Very kind of you David – thanks so much! And all the best to you in 2016 (and beyond). Hi Michael – First, Ron and I send our best wishes for 2016 to you and Claudia! I missed the voting but will say that this is a fantastic selection of photos. It is interesting how many of them are night photos, as you mention in the post. 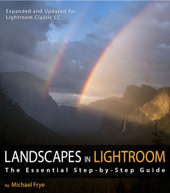 My favorites from your initial selection include the blue oaks, the misty dogwood, the Mono Lake sunset (love the foreground! 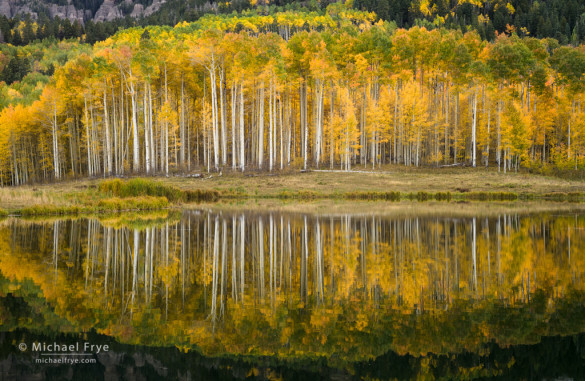 ), sunlit aspens, and Merced reflections. You and Claudia could consider using something like Survey Monkey to help tally the votes next year. You could create a two-question survey (the voting, plus name and email if you do a print giveaway) for free and automate some of the voting for people who are comfortable with that kind of system. Setting it up would only take a few minutes and could save a bunch of time on the tallying side (I would be happy to share a few bits of advice about the setup if doing something like that might interest the two of you next year). Thanks Sarah, and best wishes to you and Ron for a great year in 2016! And thanks for the suggestion about Survey Monkey – we’ll look into that.